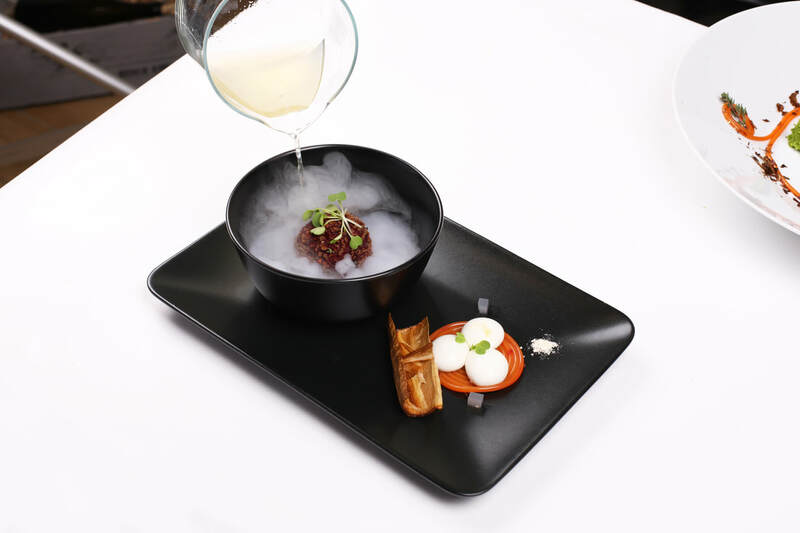 Take your dishes to the next level with our Molecular Gastronomy Class. If you are looking for an ordinary cookery class, this is not for you. If you have a creative mind, do not like cooking rules and are passionate about experimenting in the kitchen, join David Sanchez on a dazzling food journey. 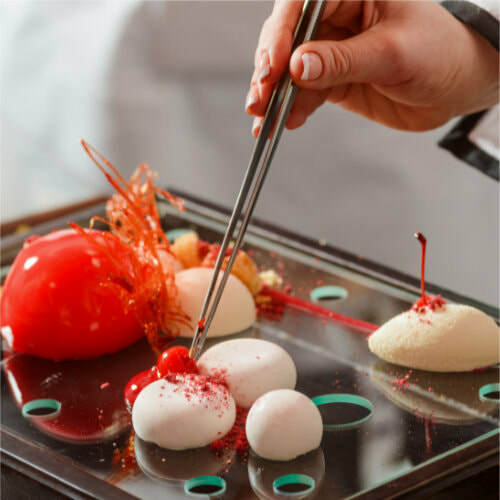 In this tapas dinner workshop you will learn how to use new ingredients, such as: hydrocolloids, phospholipids, gases, starches, to transform the texture of food, creating fun dishes, without missing any flavour. Once you've mastered these, go and create your own ‘molecular tapas‘- simples! Menu includes: appetisers, tapas dinner, dessert and the first glass of wine is on us. Hola! I'm David. I am the founder of Pencil & Fork Ltd "Learning experiences through food". I am a chemist certified from Harvard University in Science and Cooking. 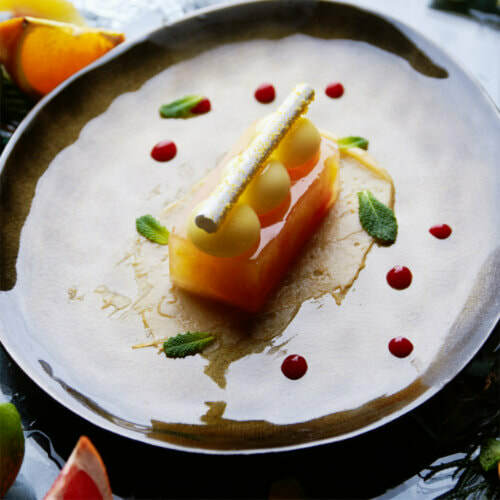 I want to share with you my knowledge in molecular gastronomy techniques. 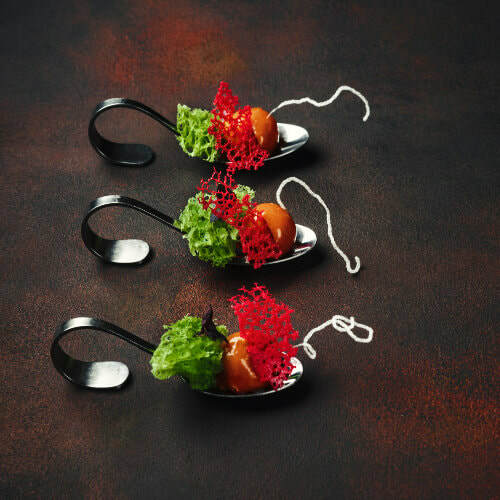 It blends physics and chemistry to transform the look and texture of food. New and innovative culinary creations. Join me on this experience, where you'll learn and work with new ingredients, such as xanthan gum, calcium lactate, carrageenan, agar-agar, methylcellulose, lecithin, nitrous oxide, sodium alginate... We'll transform the textures of ordinary food into more creative ones.